or other advertisement relating to these products and services. *Savings based on length of stay and valid only when purchasing a vacation package minimally including hotel and theme park tickets through Universal Parks & Resorts Vacations. Room type, hotel, and travel dates subject to availability. Offer valid on new bookings only. Valid for bookings now – 6/12/19 with travel 1/11/19 – 4/12/19, 4/28/19 – 6/30/19, 8/1/19 – 12/20/19. One offer per package, not valid with other discounts or promotions. Additional restrictions may apply. 4 night minimum required. Reservation must be made 72 hours in advance. Travel must be completed by 12/20/19 to receive full savings. 1Tickets are non-refundable, non-transferable, and must be used by the same person on all days. Does not include admission to separately ticketed events or venues at either theme park or Universal CityWalk™, parking or discounts on food or merchandise. Some CityWalk™ venues require ages 21 or older for admission, valid photo ID required. Does not include admission to Universal Cinemark, the Blue Man Group show or Hollywood Drive-in Golf™. Operating hours, prices, dates, times, attractions, and entertainment are subject to availability and to change without notice. Ticket excludes admission to separately ticketed events at either of the Universal theme parks or within any of the CityWalk venues. Some CityWalk venues require ages 21 or older for admission. Valid photo ID required. Does not include admission to Universal Cinemark, the Blue Man Group show, or Hollywood Drive-In Golf™. Subject to availability. Unless otherwise stated, parking is not included and there are no discounts on food or merchandise. Additional restrictions may apply and benefits are subject to change without notice. 2Requires theme park admission. Early Park Admission begins one (1) hour prior to regular scheduled park opening to either Universal Studios Florida™ or Universal’s Islands of Adventure™ as determined by Universal Orlando and Universal’s Volcano Bay™. Valid at select attractions at each park. Attractions are subject to substitutions without notice. Additional restrictions may apply. 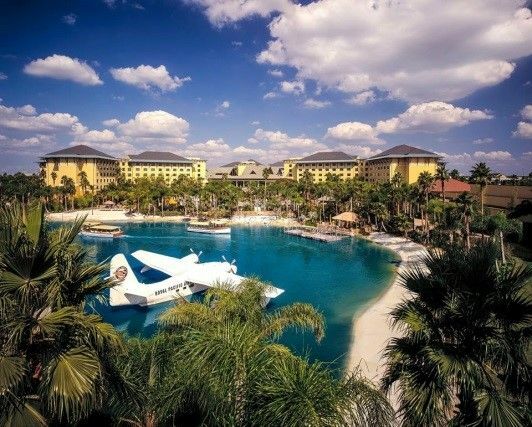 Universal Parks & Resorts Vacations is registered with the State of Florida as a seller of travel. Registration number ST-24215. Universal elements and all related indicia TM & © 2019 Universal Studios. All rights reserved.